Three protagonists, three composers. How Quantic Dream worked with different musicians to create unique soundtracks for each character in the upcoming PS4 exclusive. In Detroit: Become Human, players will be able to control three very unique characters. Although Kara, Connor and Markus are all androids, they are of different makes and have a very different background and function in society. To emphasize these three very different stories, we decided to entrust the original soundtrack to three composers with the aim to create distinct musical colors fitting our main characters’ identities and to sustain their individual arc. To stress Connor’s very cold and mechanical behavior, we chose a primarily electronic soundtrack. For Kara, we wanted a music that would be emotional and moving, underlining her quest for identity, love and empathy. For Markus, we needed a soundtrack that would be epic and represent the grand aspect of his journey. We were very fortunate to find three very talented composers who accepted this highly unusual approach. We first contacted Philip Sheppard, a composer and cellist who composed Kara’s soundtrack. 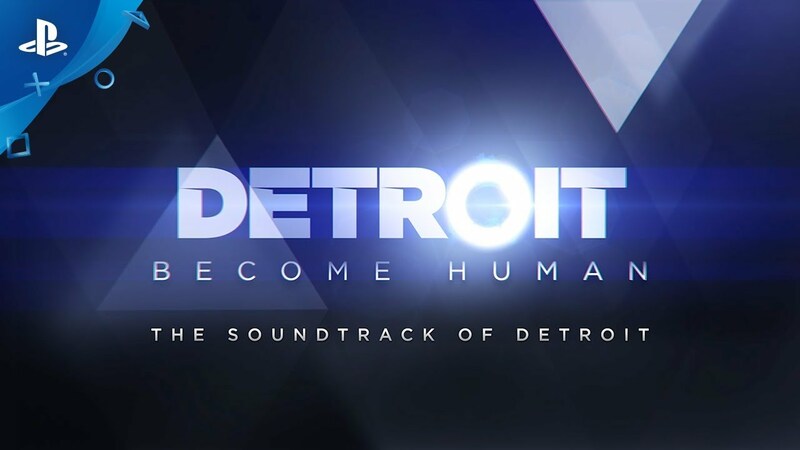 We had chosen one of his compositions early on in the development when searching for a track for the Detroit announcement trailer. David was particularly moved by a track called Wind Storm and which featured very pulsating cellos. Philip is a cellist and has been composing soundtracks for film and television for many years. We then contacted Nima Fakhrara who worked on the movie The Signal (dir. Will Eubank), which had attracted our attention. We were particularly intrigued by the fact that Nima created custom instruments for his projects, something we thought could be very interesting for Detroit: Become Human and Connor’s very special characterization. John Paesano’s epic orchestral compositions on Daredevil (Netflix) and The Maze Runner (Dir. Wes Ball) got us interested in his work. His approach felt like the perfect pairing with Markus. We contacted each of them, met them in LA or London, and explained to each what we had in mind for the project. Together with Mary Lockwood (music supervisor) and Aurélien Baguerre (lead audio) we setup a collaborative framework allowing each of them to be fed creatively with game assets exchanges with writer/director David Cage on a regular basis, and communication with the two other composers to be able to create unique scores within the same world. It has been a complex endeavor but also an incredibly gratifying journey to work with each of them, resulting in a very unique soundtrack for the game, which we hope players will enjoy starting 25th May. Be sure to take advantage of the limited timed pre-order offer of the Digital Soundtrack, or the Collector’s Edition Soundtrack (Upgrade) within the Digital Deluxe Edition. So… Techno and the whole electronic movement came from Detroit, but you guys didn’t use any Detroit artists? Wow. Isn’t it all QTE though? They all sound great in their own way. Really looking forward to this!